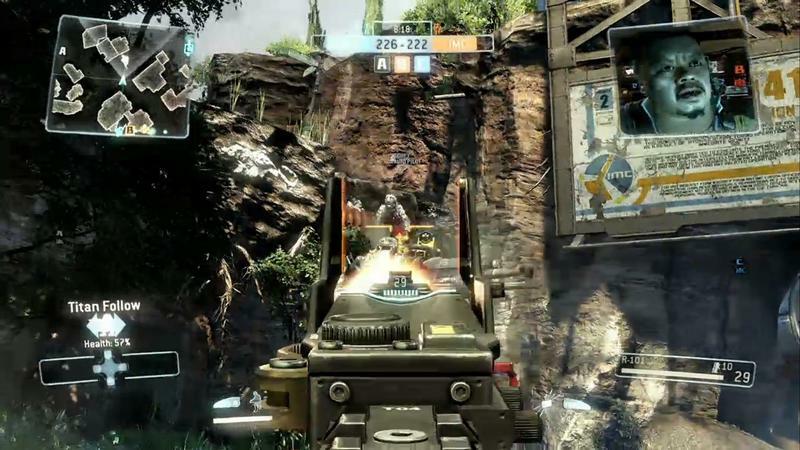 Titanfall is the brand new multiplayer title from Respawn Entertainment, the studio that formed in the wake of the big Infinity Ward shakeup a few years back. 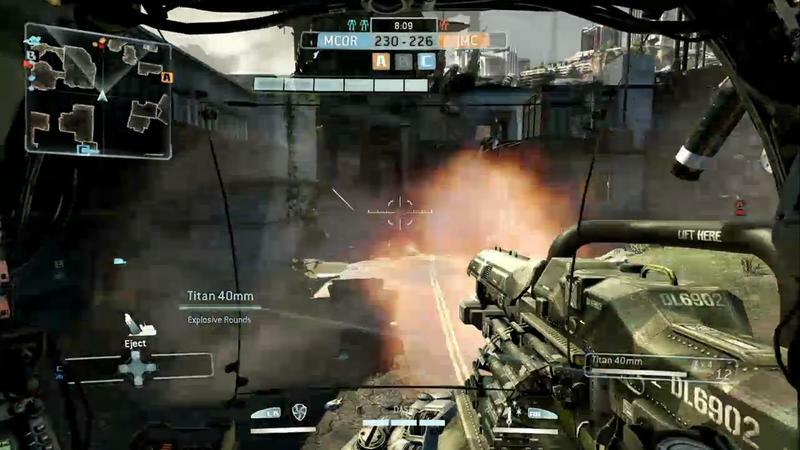 This mech and pilot based shooter had a booth presentation at E3, and we went eyes-on with the game. What we saw was one full multiplayer match played completely live. Two developers played the game in front of us in one room, while the room next to us boasted a huge swarm of combatants actually playing in the same live match. Everything was unscripted, so we witnessed a solid round of real game play. The rules of the match were the standard 3-point capture and hold. Grab A, B and C longest in order to win. 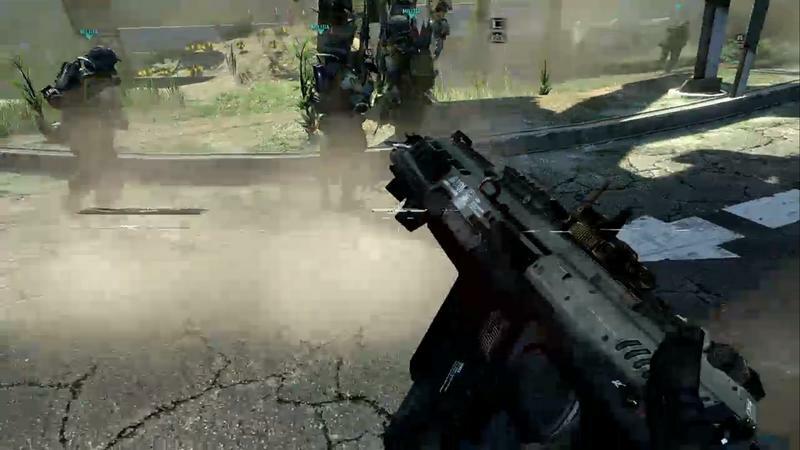 That bit is pretty typical to the multiplayer online shooter genre of gaming. 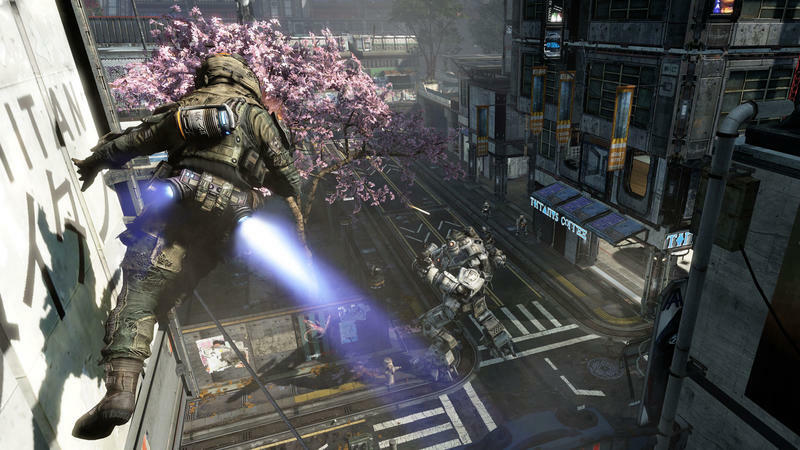 What’s atypical about Titanfall is the split between pilot based combat and using the mechs. 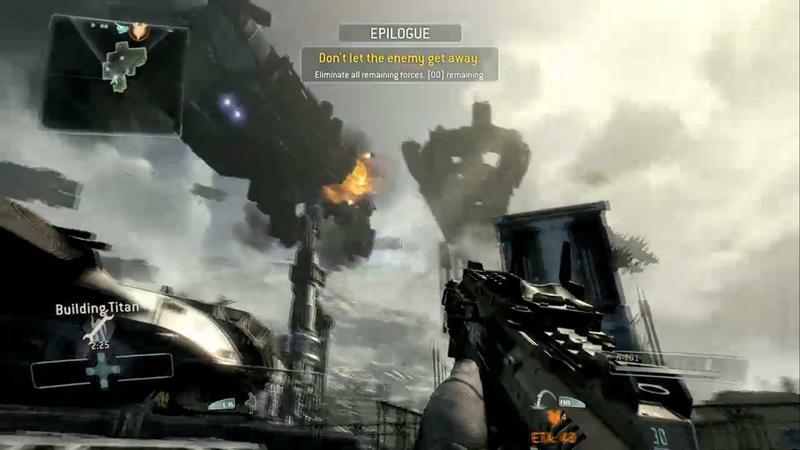 Respawn managed to make a game that offers up all sorts of dynamic combat situations built around this basic premise. 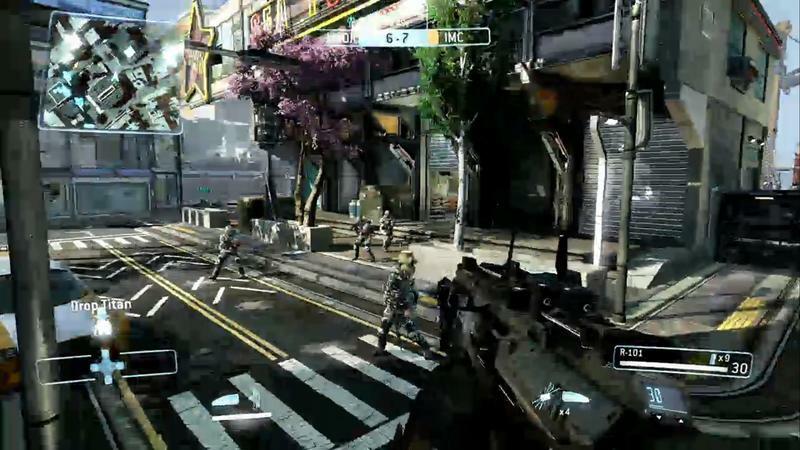 Pilot on pilot combat looks like a blend of, say, Call of Duty and Tribes. 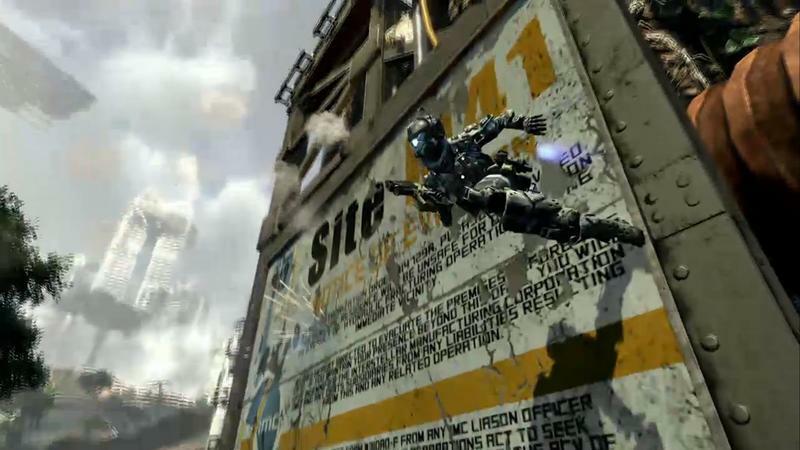 The shooting and ground movement is very Call of Duty-esque, while the jetpack for double jumps and the wall running feel like they are a part of a much faster game. Mech on mech combat is bigger and more mechanical; however, it still manages to be very fluid and quick. 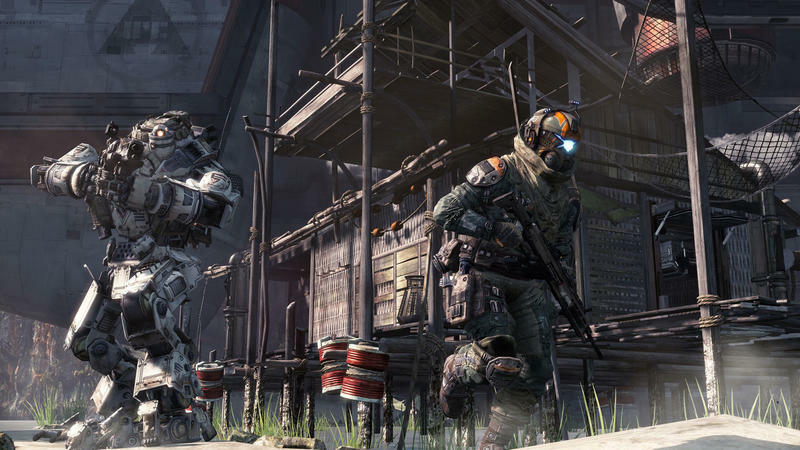 Rather than a game that heaves to an elephantine halt, Titanfall keeps things just as aggressive and fast when the big mechs come out to play. The really interesting stuff happens when pilots and mechs interact. 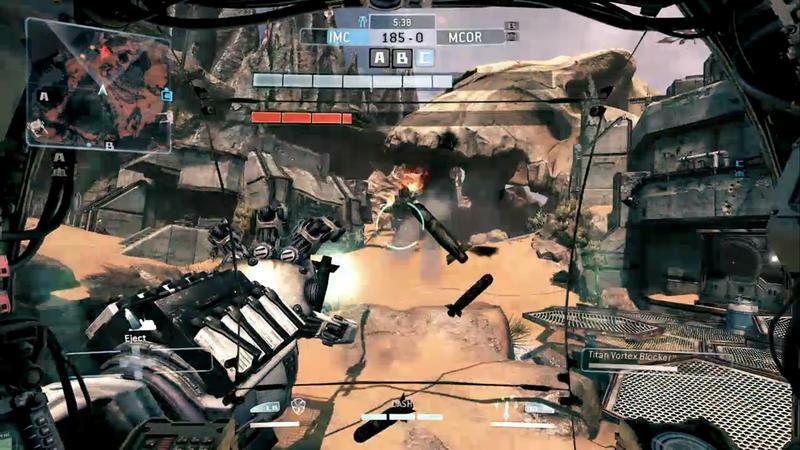 The pilots can group up and work on taking down a mech with sheer numbers. 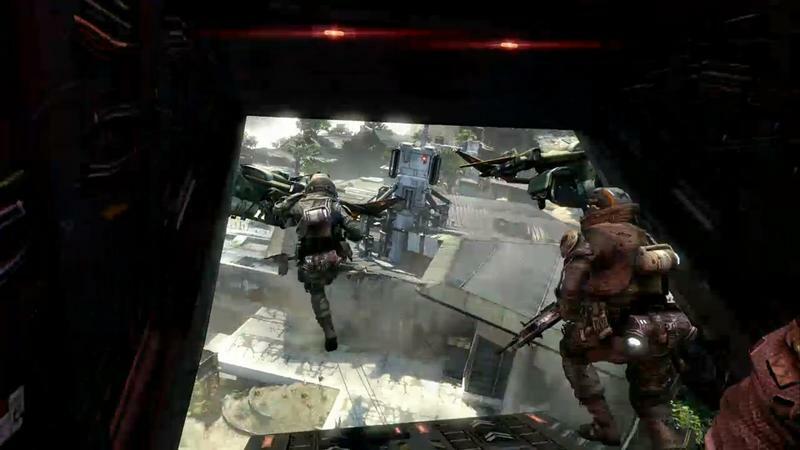 Or, they can enter into a game of cat and mouse, where they duck into small entryways or wall jump to higher vantage points to either evade or get close to the mech. 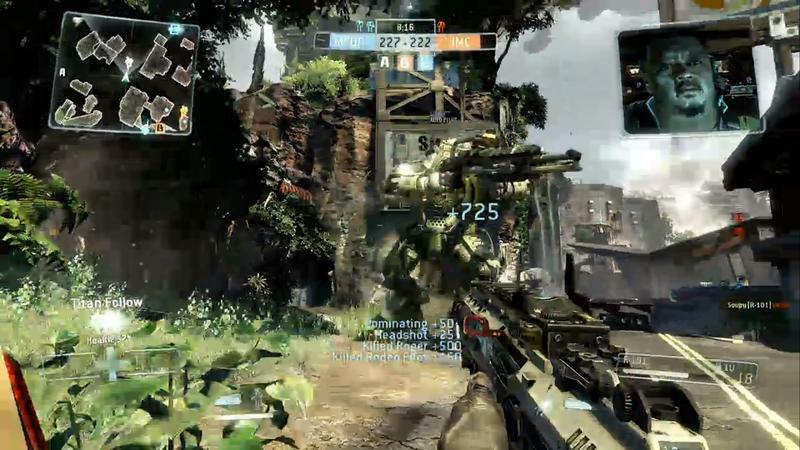 Even the team play between pilots and mechs is neat. 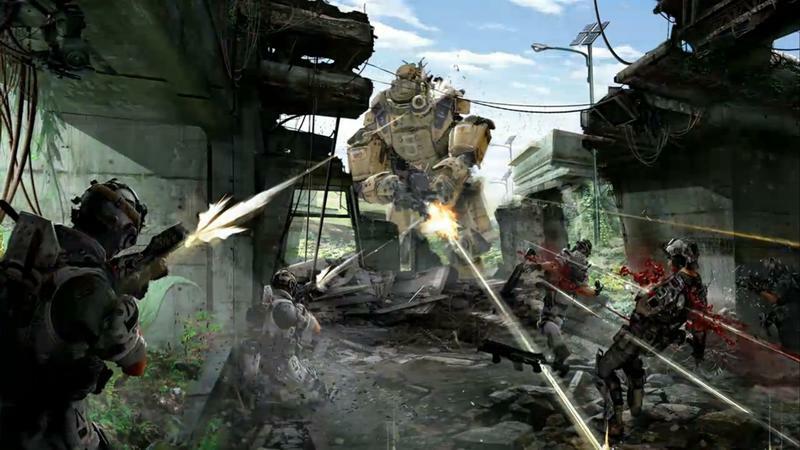 Pilots, for instance, can hitch a ride by hopping onto the backs of their fellow mechs. 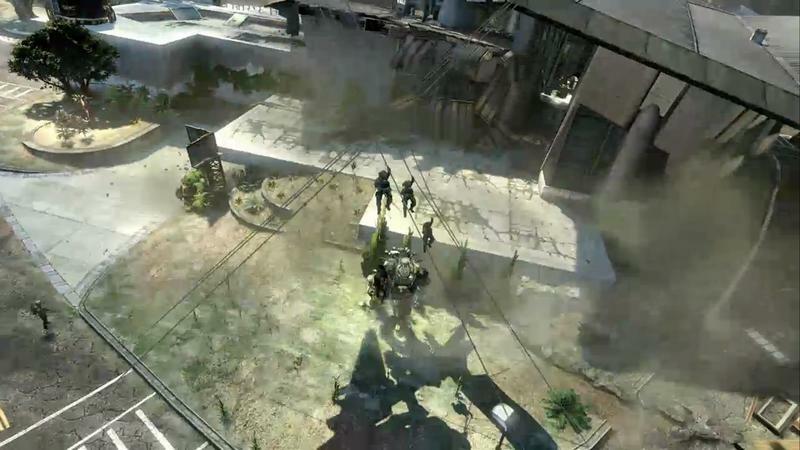 A mech might stand guard as pilots swarm into a small building in order to capture a point. 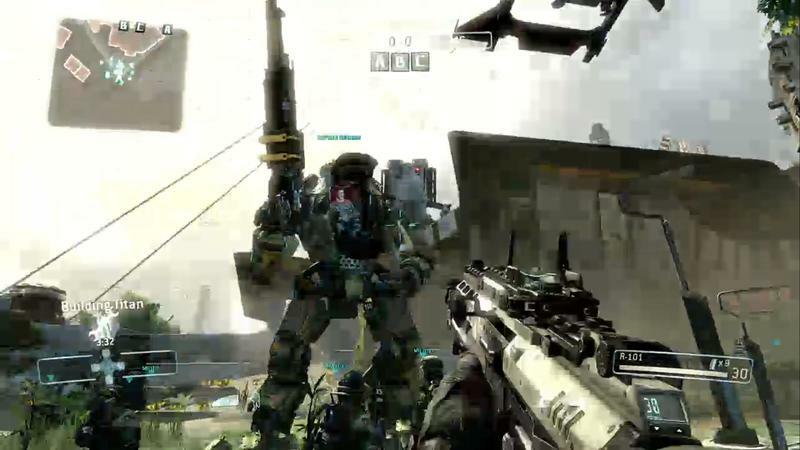 Titanfall looked graphically incredible. It was frantic, pounding and aggressive. It seems like another great, adrenaline pumping shooter. The stuff that has me interested, though, is the unique ways players can play. 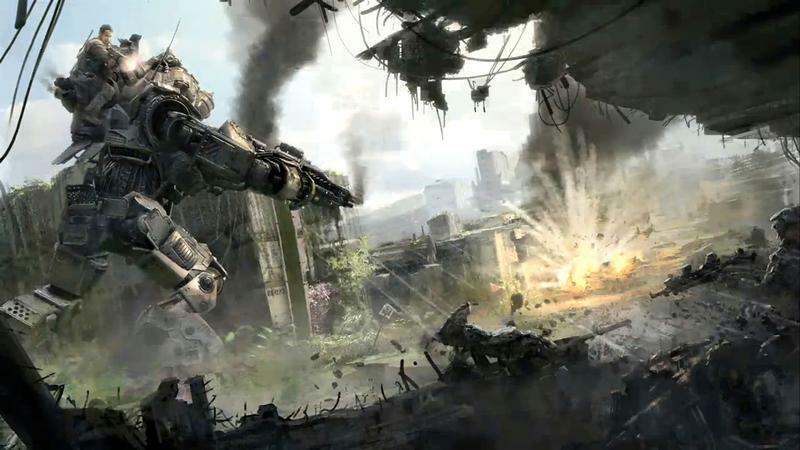 Titanfall will hit in the spring of 2014 on the Xbox One, Xbox 360 and PC platforms.